Hi, I'm new to your blog and absolutely love it! Especially being a Southern girl myself! Currently, I live in Charlotte, NC but grew up in Augusta, GA with family 60 miles west of Savannah. These cookies look absolutely amazing. I can't wait to try them soon, but I'm sad that the Reese's pb eggs aren't around anymore. :( I don't know how they do it, but those things are totally better than the cups. I think we have a consensus on that! Now, my husband and I did by out WalMart on their Cadbury eggs. Hmmm...now that could bring about a whole other level of recipes (if you have any suggestions, please feel free to forward!). I need to think about that. Anyway, oh, I almost forgot, you and your girls are just beautiful! Love your blog!!! Looking forward to making my way through it and trying some of your recipes. -Charla (P.S - Okay, so if you can tell me how you've managed to be an amazing baker and stay so skinny, I'd love to hear it. Charla, I believe Picky Palate did have a cupcake recipe using those cadbury eggs. Mmmm...that's a whole 'nother addiction! On the subject of my weight and being a baker...its a funny thing, and most probably would not believe this, but I have been on a low carb diet for over a year :) I know, that sounds crazy to run a baking blog and be a low carber. Since reaching my goal, I'm not quite as strict, and I do indulge in my baked goods. Hey, there has to be a little quality control. Right?!? I make my sweets, I taste them, and then I send them out the door to either my husbands sweet-loving co-workers, family or friends. I do not let them linger around for long :) Plus, the sooner they are gone....the sooner I can bake something else :) Glad you have found my blog and are enjoying it! Your daughters looks so so beautiful! Like mother, like daughters! Peanut butter cookies are my all time favourite. Awwe, Angie, your so sweet!! Thanks so much! Your girls are so cute! Oh, and the cookies look good too. ;) My guys would love the peanut butter and chocolate! Those beach pics are absolutely gorgeous! Love you blog! Everything looks so yummy! 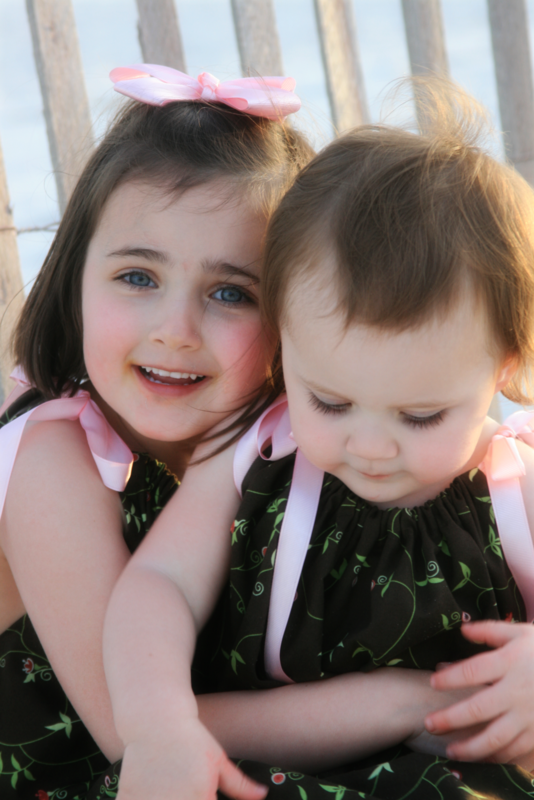 The photos are great and your children look very cute and sweet! I absolutely have to try this recipe! Reese's PB Cups are my favorite candy and they would be fabulous in this cookie. Thanks for the recipe and for visiting my blog! It's nice to meet you! What beautiful pictures! You have the cutest family ever :) And those cookies...wow. You just made me hungry! great cookies and amazing cookies I hear ya I got back yesterday and am feeling the same way! Your daughters are precious! And those cookies look divine! Glad you are back from your family vacation. Glad you had a wonderful time. Can't beat time with the family. Love the cookies, but then again I am like the cookie monster. Cheers! 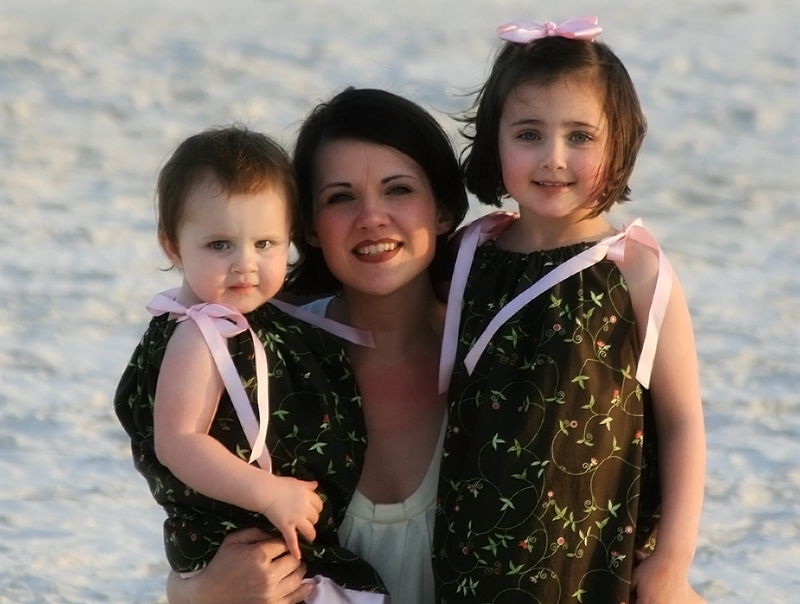 OMG..those are GORGEOUS photos of you and your children! Those cookies would be too dangerous to make in my house. 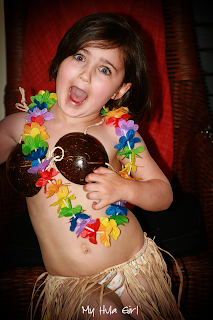 Classic Hula outfit..you might have a fashion diva on your hands! Looks like you had a wonderful time! Love the outfits, and the kids are precious! 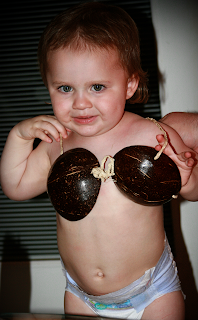 I'm bookmarking these for next easter when I cant some eggs. They look awesome! P.S. 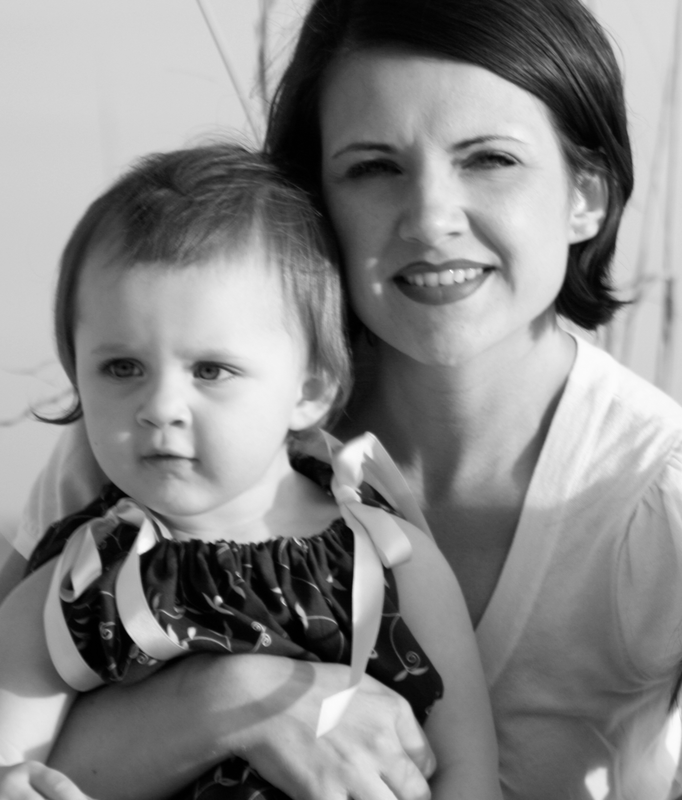 I have featured this post on my blog for my Sunday Linky Love meme...come check it out! the peanutbuter cookies are to die for. I love the last photo. You have such lovely daughters..
Love your photos...looks like you guys had a fantastic time. Can't wait to try out the cookies as well!! Welcome back! Gorgeous pics of you and your girls! They remind me of mine...SO dramatic and totally into the dress up right now. We leave on vacation next week...you can bet I'm gonna need to rest up after ours. 4 families on a marathon 4 days at Disney. Yikes! These cookies look amazing! I made compost cookies with my daughters this weekend. They totally got a kick out of all of the "stuff" we threw in. youre right the chocolate peanut butter combo is impossible not to love! i really want to try one of these reeses eggs & better yet stock up so i can make these cookies. the pictures of you and your family are beautiful!! Picky Palate is definitely the place to go for peanut butter recipes. This one looks especially delicious. A beach vacation is perfect for little one. It sounds like you had a great time. Your girls are adorable! Those are the sweetest pictures of you and your girls :)!! By the way you are KILLING me with all of the peanut butter and chocolate combos. I can't take the teasing anymore...please send some to- Desperate Over the Edge Red in NC. such great photos and the cookies look to-die! Hi! I came over from Friday Follow! I love your blog. 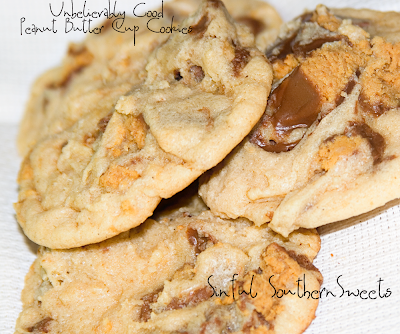 I'm Southern Baker Wanna-Be! Please stop by some time! Those cookies look amazing, and I love the beach pics!